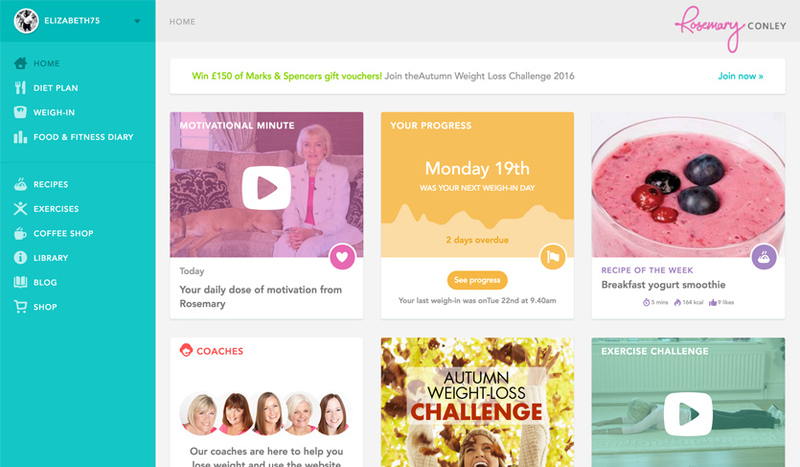 Rosemary Conley Online is one of the UK's leading online weight loss clubs. It is packed full of motivation, information, tools and the support that you need to lose weight and stay that way. Rosemary Conley is the UK’s leading diet and fitness expert with over 40 years’ experience of helping people lose weight and get fit. Completing the project within the desired timeframe and budget was a major concern and Exlabs performed superbly exceeding our expectations. The team are great to work with, they are delightful, helpful, positive and have a marvellous 'can do' attitude. Our relationship being much more than that of a supplier and customer, Exlabs are strategic business partners as well as being people we enjoy working with. One of our teams assisted Rosemary Conley Online with a rebuild of a 10 year old platform which was no longer able technologically sustain the level of usage. We’ve completely rebuilt the platform migrating the tech stack into Ruby on Rails, completely reengineering the User Experience of the product in the process. This has resulted in 98% user retention from the original platform and a 281% growth in 2 years from the relaunch. The new product includes an ecommerce store built in Spree, which proved to be a great success and a complimentary service for the RCO user community.